Prof Rob Freckleton is an ecologist and evolutionary biologist with wide-ranging interests. His core research focus is the development and application of models to solve a range of problems, for example, in evolutionary biology, modelling the evolution of traits and using such models to develop statistical comparative methods. He collaborates to apply these methods to a wide range of problems in ecology, evolution and behaviour. He is also interested in population ecology, with interests in modelling across temporal and spatial scales and is currently working on the problem of evolved resistance (using herbicide resistance as a case study), developing novel methods for monitoring and modelling at the interface between ecology and evolution. Following a degree in Zoology from the University of Oxford, Rob studied for a PhD in Plant Ecology at the University of East Anglia and then held research positions at UEA and Oxford before being awarded a Royal Society University Research Fellowship, held at Oxford and Sheffield. 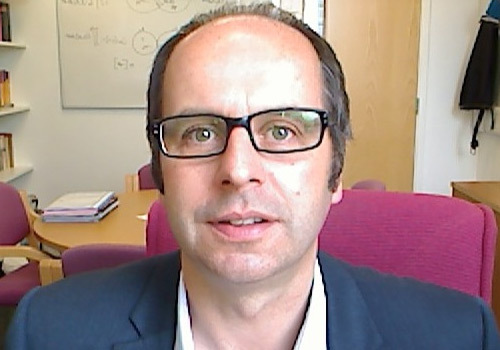 He became a Professor in Sheffield in 2006 and is currently Director of Research and Innovation for the Faculty of Science. He previously edited the Journal of Applied Ecology and since 2010 has been the (founding) Executive Editor of Methods in Ecology and Evolution, a top 10 ecology journal. At Sheffield he teaches a range of courses including Evolution, Evolutionary Ecology, Tropical Biology and Field Biology.